If a cosmetologist decides to purchase a salon and forms a a Single Member LLC would she continue to use schedule C for both her income as a cosmetologist working in the same salon and income from the Single Member LLC. The salon is set up by where the income is produced by renting booth space to cosmetologist that are independent contractors. Would she have to pay booth rent to the LLC her self since that is the way the LLC produces income, or is that commingling funds? This salon will have no employees. I would suggest having the salon owned by the LLC…that way if someone is injured at the salon, the owner is the LLC, and not the individual. The individual would then pay booth rent to the LLC. That is NOT commingling. In fact, not paying rent, and simply treating LLC property as her own would be evidence of commingling assets. 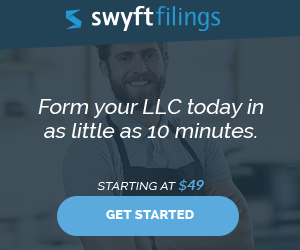 Remember–you and your LLC are separate entities. Would you let your next door neighbor use the LLC’s booth without paying rent? Then what gives you the right to use the booth without paying rent? This is a common arrangement. XYZ, LLC and ABC, LLC are both owned by John Smith. XYZ owns the real estate, which it leases space to the operating business ABC. ABC pays rent to XYZ. XYZ distributes the rent to John Smith. John Smith also keeps any profits from ABC, the operating business. 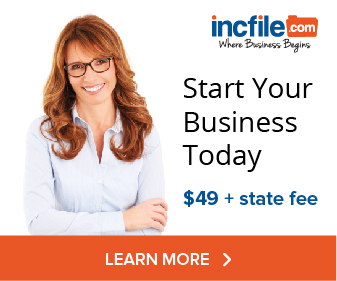 The advantage to this method is that you can reduce your self-employment taxes in the operating business…as your income from the LLC that only collects rental income is not subject self-employment tax (there are exceptions to this, so get good tax software that explains the differences). Furthermore, just like your company wouldn’t rent the booth to your neighbor on a handshake (you would use a written lease), the LLC should have a written rental agreement with each person renting a booth. I know it might seem weird to “rent the booth from yourself”, but understand that the whole point of incorporating is that the company is not you. It is a separate “person” in the eyes of the law. As far as taxes are concerned, as a single member LLC, you’d use the Schedule C on your 1040 form to report your income (unless you choose taxation as a corporation).